Being the proud owner of a CSCS card wouldn’t be nearly as impressive if there didn’t need to be some reliable, professional qualifications involved, one of them being the CSCS Health & Safety Environment test. Taking this exam proves to employers that an individual knows all the intricacies of a well run, exceptionally safe worksite. 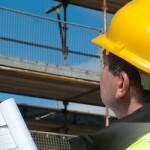 So how can you go about booking a CSCS Test? Quite simple really; Construction Helpline will walk you through the process. For a lot of people, applying for a card and taking the test go hand in hand. Simply give CHL a call, book a time that suits you and come into a test centre. You don’t even have to worry about taking an entire day off, it only takes 45 minutes! As an added bit of insurance, while you’re booking your CSCS Test, you’ve got the option to pay a little more to get a retest in the event you have a bad day and fail. Better to be safe than sorry! The process is easy; give Construction Helpline a call and speak to one of the friendly, professional staff. They’ll talk to you about which card you want and make suggestions based on their experience to make sure you’re getting the best deal possible. After that, they’ll offer you any available test slots, meaning you can choose the most convenient time for you. Once the team have you details you’ll be all booked up and ready to come in and smash it. All CSCS Tests are invigilated, taken in a quiet, comfortable room and all materials are provided to make sure you’ve got the optimum chance for success. If you’d like to brush up on your Health and Safety knowledge prior to sitting your test, CHL can provide the proper revision materials, which can be delivered right to your front door. Arm yourself with the knowledge then you’ll be able to book your CSCS test with confidence.